Lorenzo Langstroth (1810-1895), of Oxford, Ohio, was the "Father of American Beekeeping," developing techniques still used by bee keepers everywhere. He designed a new type of hive that incorporated frames that hung from the top but left a small (3/8") space between the sides and the frame. He figured out that bees don't usually construct any comb in 3/8" spaces, which would allow the frame to be safely handled by beekeepers. 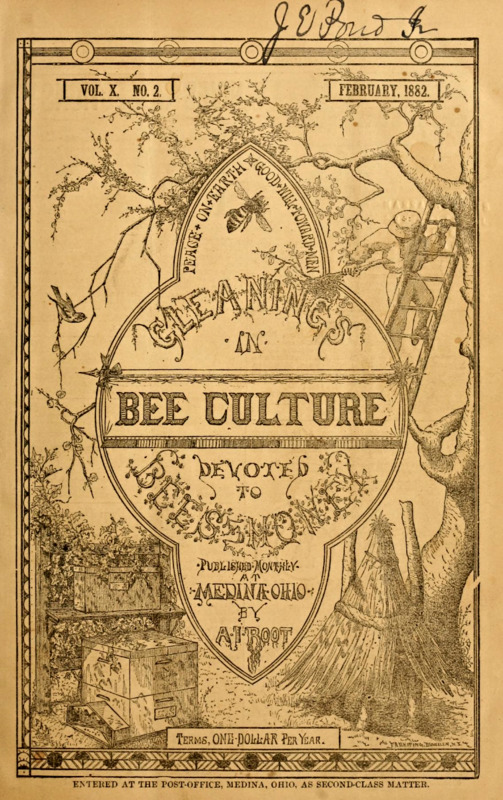 In describing his invention, Langstroth wrote in his publication Langstroth on the Honey-Bee (1860), "...the chief peculiarity in my hive was the facility with which they could be removed without enraging the bees .... I could dispense with natural swarming, and yet multiply colonies with greater rapidity and certainty than by the common methods .... feeble colonies could be strengthened, and those which had lost their queen furnished with the means of obtaining another. .... If I suspected that anything was wrong with a hive, I could quickly ascertain its true condition, and apply the proper remedies." Another Ohioan, Amos I. Root, of Medina, was the founder of the American bee industry, and developed techniques for maintaining large numbers of tended hives. He also invented a new beehive that permitted honey to be extracted without damaging the hive. At the time, beekeeping was a key industry and important to many U.S. families, so the new techniques were of great importance to many people. His inventions allowed beekeeping to be more cost effective and practical. Root took up beekeeping in his mid twenties as a hobby which quickly grew into a business venture. He started a journal, "Gleanings in Bee Culture," and also sold equipment to 150,000+ customers. He passed the business on to his sons in 1880. Amos Root and the Wright Brothers. Interestingly Amos Root was one of the first people to witness flight - and write about it. He wasn't the first to see the Wright Brothers fly, but his written account was the first description by a direct eyewitness to a flight. Amos Root predicted that the Wrights' invention, "may outrank the electric car, the automobile, and all other methods of travel, and one which may fairly take a place beside the telephone and wireless telegraphy." Langstroth, L.L. 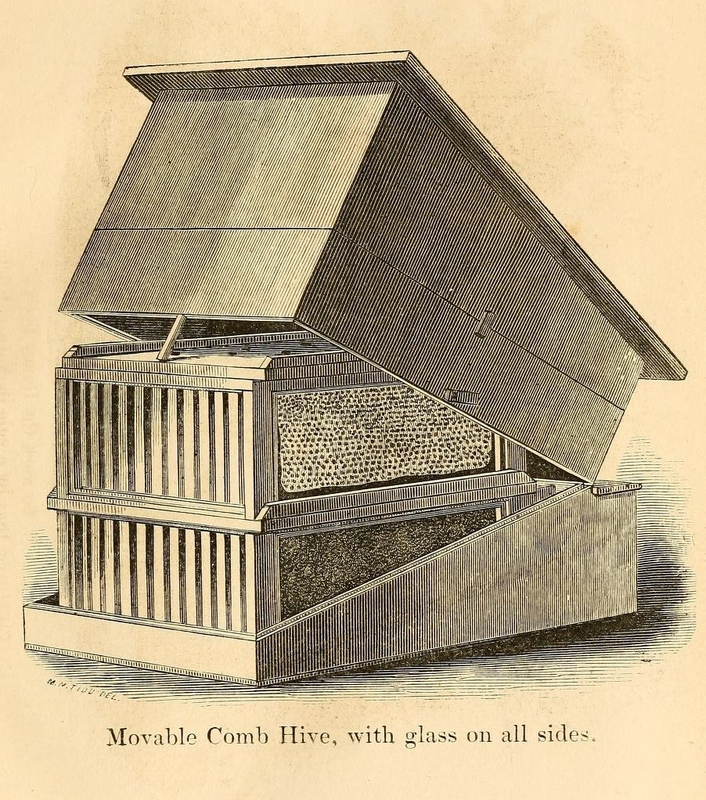 Langstroth on the Hive and the Honey-Bee; A Bee Keeper's Manual... Hopkins, Bridgman, Northampton : 1853. Root, A. I. The A B C of Bee Culture; a Cyclopædia of Everything Pertaining to the Care ... A.I. Root, Medina, Ohio : 1879.